Dutchman's Tree Spade's on-going commitment to building quality nursery machinery continues with the introduction of our new "Tree Tyer". The focus on building a quality tyer meant that a top ring was needed to funnel the branches accordingly. It also called for a hydraulic gate system and an inverted steel ring. Inverting a steel ring allowed for a smoother rotation with less chance of the ring coming into contact with branches. 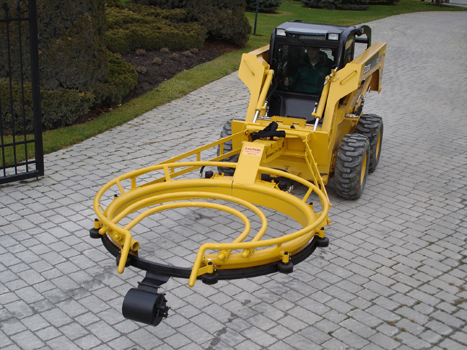 A smaller ring insert can be added to increase the versatility of the unit. 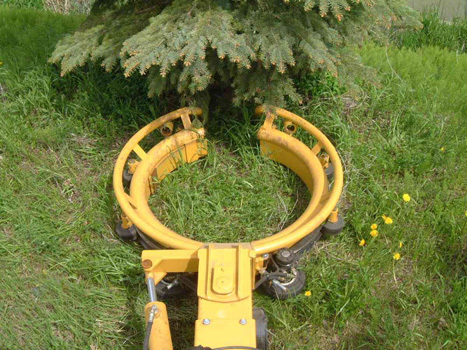 An optional pivoting head can allow for tied trees within tighter areas as well. 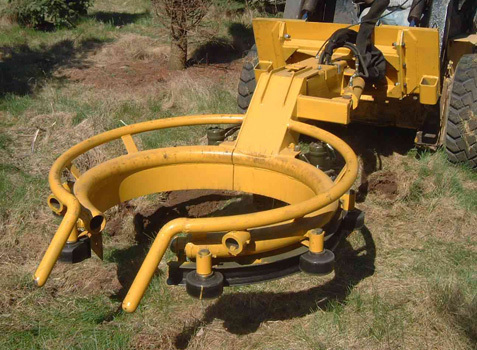 The end result is a stronger, smoother, more versatile tree tyer for your nursery application. Contact a representative today to find out how the Dutchman's Tree Tyer can work for you. Comes complete with Dutchman's "Pistol Grip Joystick"